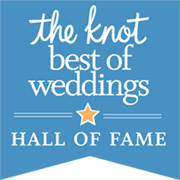 The Meeting House Grand Ballroom is a single event wedding and banquet facility located in downtown Plymouth. It has been family owned and operated since 1965. We are well known for our exceptional food, service, and attention to detail. Thank you for the wonderful reception you provided for our son and new daughter. We have received only compliments from family and friends regarding the food, staff and setting. I can’t even begin to put in words how grateful we are to have had our reception at your venue. Your help, time, and constant care for us will never be forgotten. The Meeting House is so beautiful and was the perfect place for us to celebrate the beginning of our marriage. We are excited for our bright future ahead of us and we couldn’t have possibly have had a better wedding day. Thank you! Thank you so much for making our special day so amazing! Your service is top notch and we were nothing but impressed by your venue, food, and hospitality. 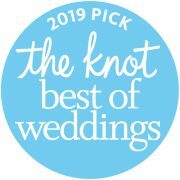 This was the best choice we could have made for our wedding day and we will continue to recommend you! Thank you for making our day perfect! We couldn’t have had a better wedding without you both. Everything was beautiful and you are fantastic hosts. We wish we could do it over again with you. Thank you for making our wedding reception a dream come true. Everything was perfect. We are so grateful to you for being so flexible and accommodating. Thank you all very much for the top notch service that we had the day of our wedding. It exceeded anything we could have asked for. We recommend this venue to everyone! You are all so pleasant to work with and made planning a breeze. It was fantastic. Thank you all for helping us begin our happily ever after on that magical day in September! © Meeting House Grand Ballroom 2018. ALL RIGHT RESERVED.